Filamena Ziani is the much younger sister of the most famous courtesan in sixteenth-century Venice, Tullia Ziani. Orphaned as an infant, Filamena has come of age bent like a branch to her sister’s will, sheltered and lonely in the elegant but stifling confines of their palazzo by the sea. Then a dark-haired stranger offers a gift that will change the course of her life forever: a single ripe plum, and an invitation to walk along the lover’s path, wherever it may lead. 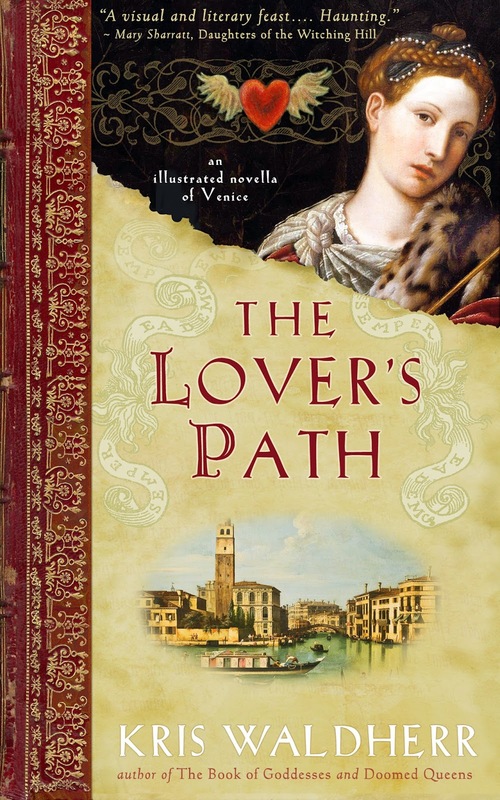 THE LOVER’S PATH, a moving tale of forbidden love, is a romantic epic told in multiple layers. Through a novel combination of Filamena’s narrative, famous love stories from history and mythology, and sumptuously ornate illustrations, Filomena’s path is beautifully described and, finally, stunningly revealed. 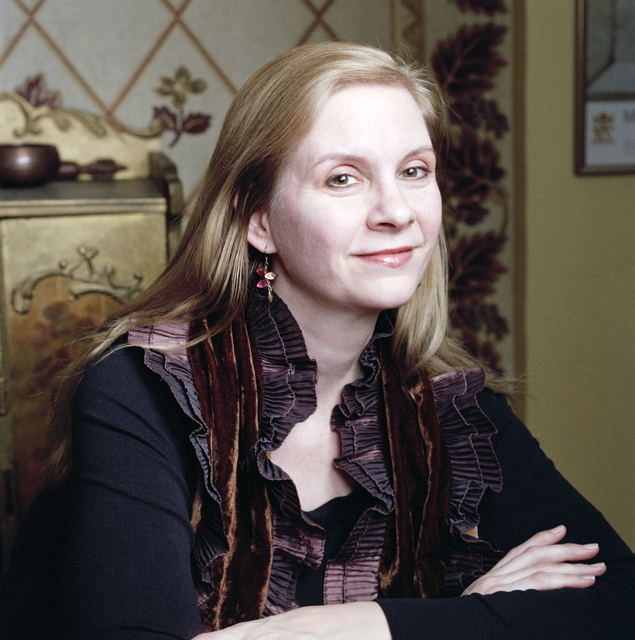 Praised by The New York Times Book Review for her “quality of myth and magic,” Kris Waldherr brings to life a remarkable period in Venetian history using art and words. Her glorious celebration of romance, the feminine spirit, and the power of love to transform will inspire and move readers everywhere. New expanded and revised anniversary edition. Finally available for iPad and Kindle. I am so glad that I choose to read The Lover's Path on my iPad, taking full advantage of the color illustrations throughout this little gem of a story. It isn't a long book, more like a novella but that doesn't take away from the story at all. You can read the synopsis above to get an idea of what takes place here. Each new chapter begins with snippets from the tales of Tristan and Isolde, Osiris and Isis and other famous couples (both real and mythological), this set the tone for The Lover's Path, made it magical and gave it that mystical feel. 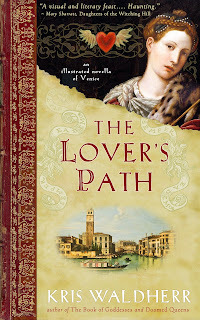 This is a story of forbidden love, an emotional story that had me totally immersed in 16th century Venice. I am not familiar with the famous courtesan Tullia Ziani's story, nor her younger sister Filamena which made reading this all the more intriguing. I can definitely see myself rereading this one, studying the art work and purchasing a print copy. Thanks so much to HFVBT for asking me to be part of this tour, I might have missed this little gem otherwise. Kris Waldherr is an award-winning author, illustrator, and designer whose many books include Doomed Queens and The Book of Goddesses. She is also the creator of the Goddess Tarot, which has nearly a quarter of a million copies in print. Waldherr’s illustrations have been exhibited in many galleries and museums, including the National Museum of Women in the Arts, the Mazza Museum, and the Ruskin Library. She lives and works in Brooklyn with her husband and their young daughter. Visit her online at KrisWaldherr.com. You can also find her on Facebook, Twitter, and Goodreads. 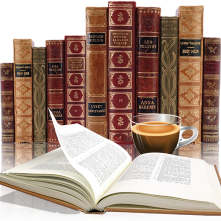 Review & Excerpt at Oh, for the Hook of a Book!